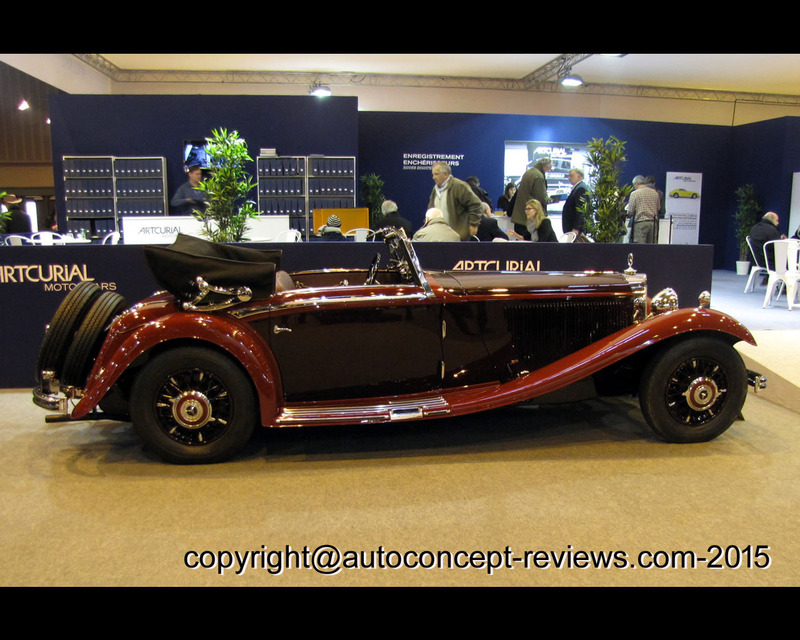 The Mercedes 380, unveiled at the Berlin Auto Show in February 1933, was an innovative car in several respects. Its engine evolved from that of the 380 S Mannheim but, instead of its predecessor's side-valve engine, it had a larger, eight-cylinder, 3.8-litre engine with overhead valves. It could also be equipped (as an option) with a supercharger to boost power: by delivering 120hp, this enabled the car to attain performances more in keeping with its imposing appearance. Numerous Mercedes models were commercially named 380, so this one is often designated W22 after its works number, to avoid confusion. Innovations were not confined to the engine: the suspension was completely redesigned, with four independent wheels; double wishbones up front; and swing-axles linked to coil springs at the rear - very modern at the time, when rigid rear-axles were the rule. The 380 therefore offered above-average comfort and road-holding, with hydraulic brakes, four-speed gearbox and Rudge wire wheels. Several 'factory' body-styles were available, including three types of Cabriolet (A, B or C) - the difference depending on the number of seats and side-windows (two or four in each case). Cabriolet A was the most sporty, with two seats and two side-windows. 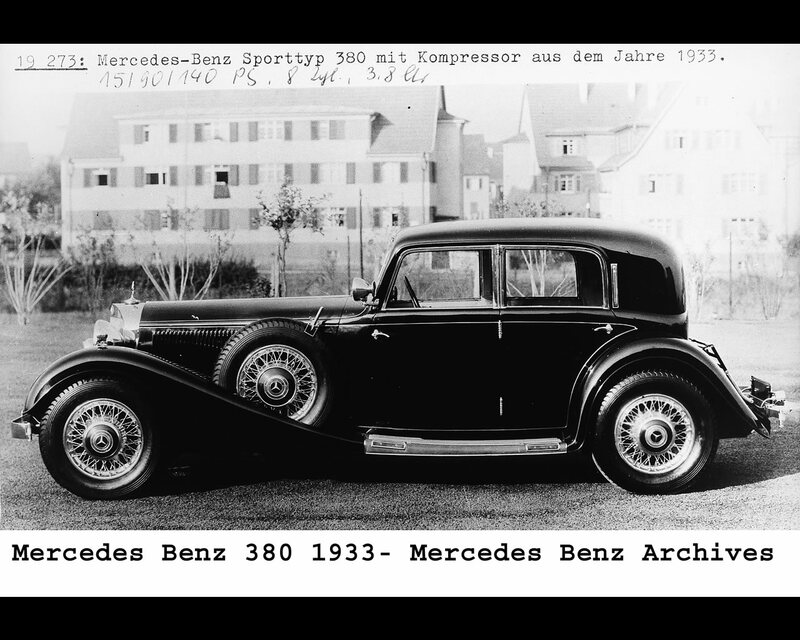 Thanks to its intelligent design, the 380 served as the basis for the top-of-the-range Mercedes that came afterwards: in 1934 it was superseded by the 500 K, which in turn preceded the famous 540 K.
The car in exhibit was proposed for sale at the Artcurial Auctions during 2015 Retromobile in Paris. 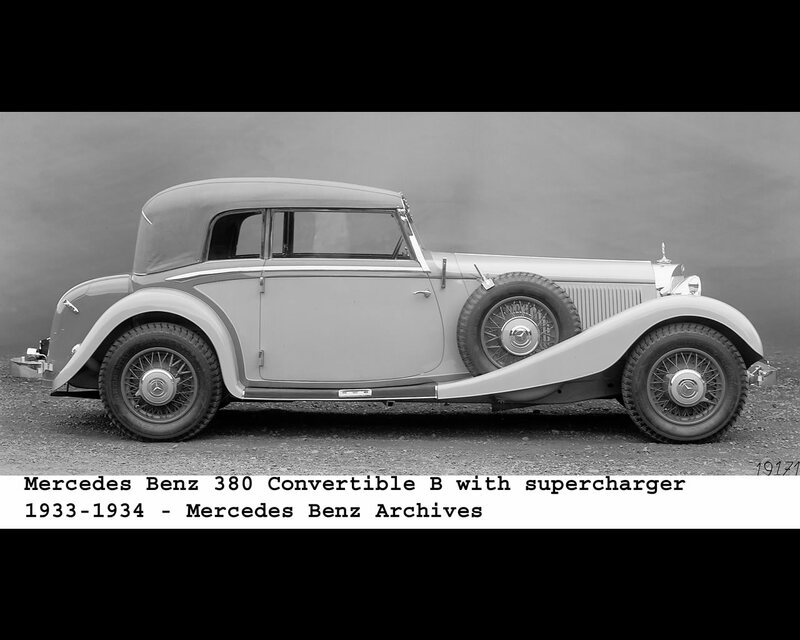 This Mercedes Benz 380K Cabriolet A was delivered new to Zurich in February 1934 for exhibiting at the Geneva Motor Show the following month. It was in exactly the same configuration as today. Of the 150 or so Mercedes 380s ever made, just 16 were Cabriolet A's, and only 3 or 4 others are thought to have survived. 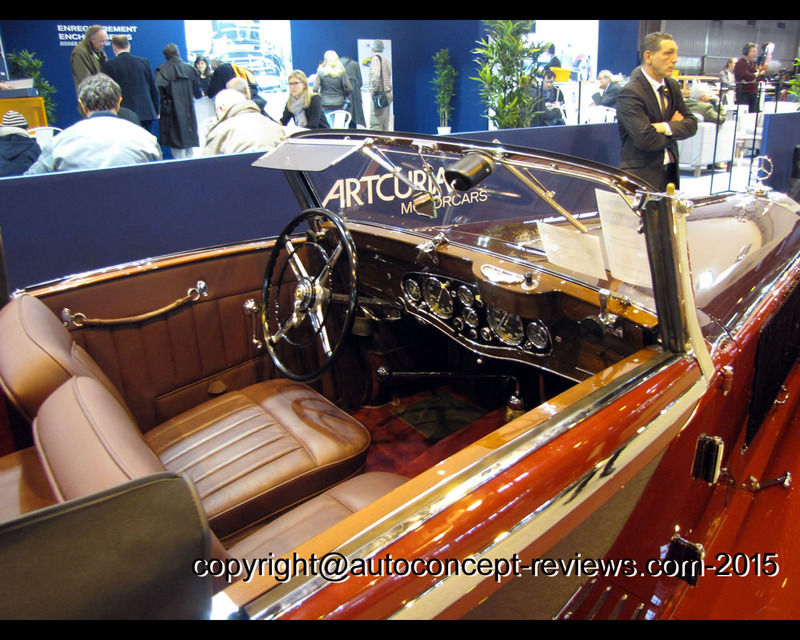 Our car is luxuriously fitted, with a handsome wooden dashboard and adjustable seats. Since its 8,000-hour restoration it has remained impeccable, with dark red leather upholstery, matching red carpet and classy, two-tone red paintwork. Beneath the bonnet is the original, splendidly sober, eight-cylinder engine with its supercharger at the front. Technically the equivalent of the 540 K (of which 156 were built), but less excessive and also lighter, this 380 constitutes a rare chance to acquire one of the most prestigious Mercedes of the 1930s - in impressive condition and with a prestigious and value-enhancing motor show history. 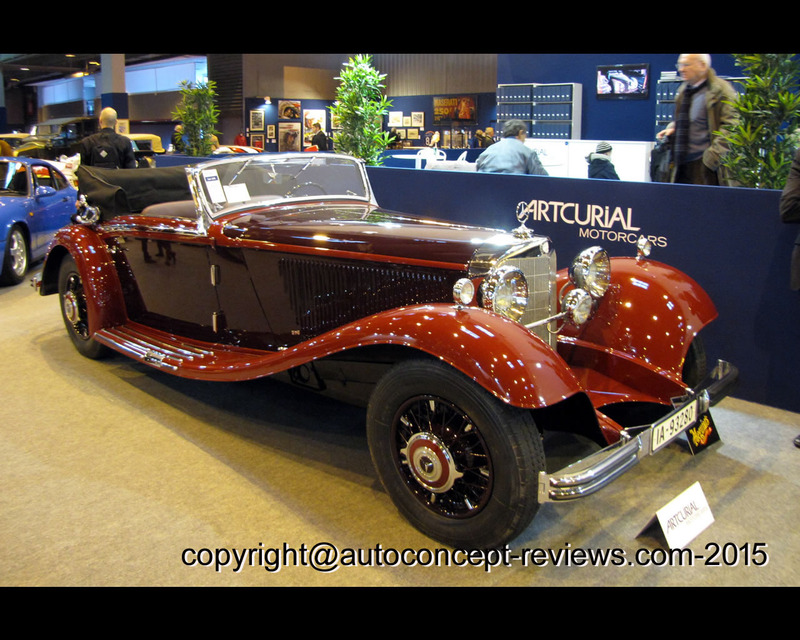 The Mercedes Benz 380 K Cabriolet A sold for 1,416,000 €.